It was just over a year ago I finally got to get my hands on the full version of Super Hot once it hit consoles. Instantly I was in love, the game changed how I viewed FPS’ on a base level making me think of them more as a puzzle. I enter a room and dance from one partner to another picking them off in the most efficient way possible. 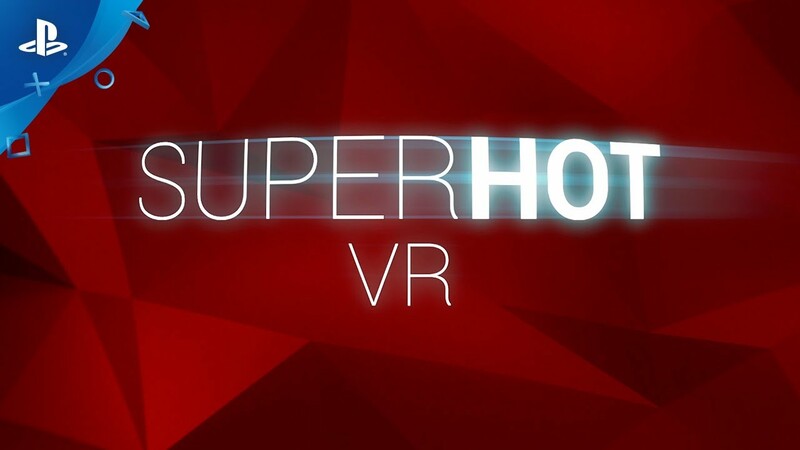 Well Super Hot has yet again made a leap from PC to Console, this time in the form of Virtual Reality, out now on Sony’s PSVR. 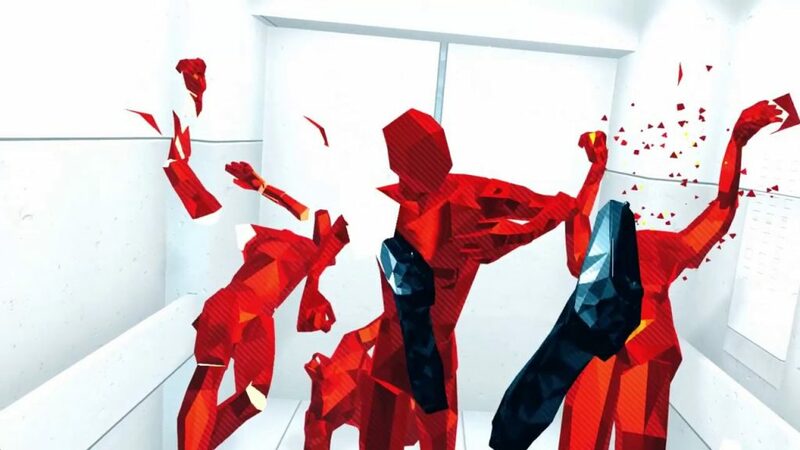 It’s quite an obvious move in retrospect to bring Super Hot to VR, forcing the player to think even more about their own movement than in the original game, holding perfectly still whilst also trying to survey the scene. For the unaware Super Hot’s biggest sell is its time manipulation in a first person perspective. As the tag line says; ‘Time Only Moves When You Do’. In PSVR when you move your hands, controlled by the Move Controllers, you move time forward causing enemies, and their bullets to come closer to you. You must survey your surroundings, grab any weapons and react with as little movement as possible all the while making sure a rogue bullet isn’t going to clip you. Each section features one area, be it an office type location, back alleys or an airport. Each time you’re plopped into an action scene already in progress and you must grab the weapon conveniently within reach and dispatch your red polygonal foes. Once cleared you move onto another part of the location generally within view of the chaos of your last scene of destruction. This is a neat way of getting around the lack of traversal in Super Hot VR, no longer are you running from one room to the next, instead you must react to each snippet in turn. The problem here is that if you fail the final part of 4 parts you must replay the first 3 again. Not the end of the world for a game that is so fun but the frustration does grow on some of the later levels where the difficulty ramps up to an amazing degree. PSVR is limited in a number of ways, although a great piece of tech that’s affordable for many it does lack the graphical prowess of its PC brethren, thankfully Super Hot has maintained its sparse and crisp aesthetic from the previous game meaning that the lack of power in the PSVR is at no time noticeable. With its simplistic colour system, white = scenery, red = enemy and black = weapon you don’t need to be spending a long time working out whats going on as you’re dropped head first into an action filled moment. As much as I love Super Hot VR it’s carried over a number of issues that were present in the first game. The main issue being that there always feels like a ‘correct answer’ to each scenario. I appreciate I can’t have it both ways and describe the game as a puzzle but also bemoan its linearity. But with its leaning towards action it feels at odds with itself when you must trial and error your way through certain missions. The other huge issue with Super Hot VR is the idea that your head is so much bigger than your vision. The first game suffered from this and now it’s in VR it’s even more noticeable. As you’re ducking down or leaning left to avoid an oncoming bullet and in reality it would have gone a foot wide of you it feels weird for it to count as a hit. Essentially you need to play assuming you have a head the size of a beach ball, which is obviously silly. 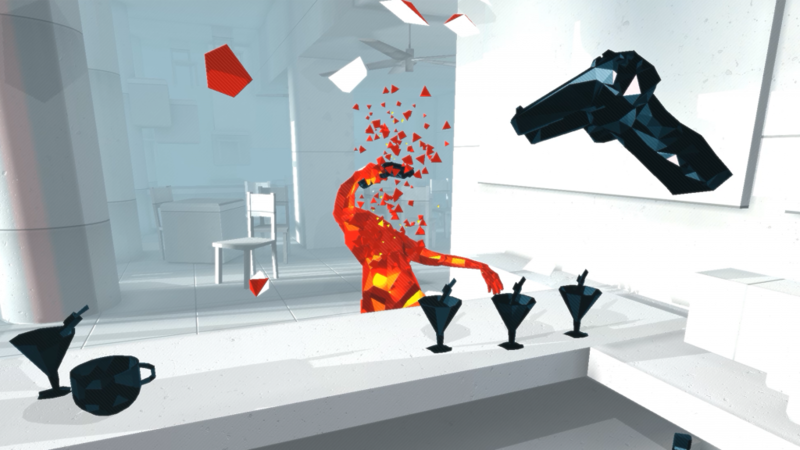 Finally there’s one key problem with this port of Superhot VR from PC. The tracking is some of the most troublesome I’ve had since owning a PSVR. 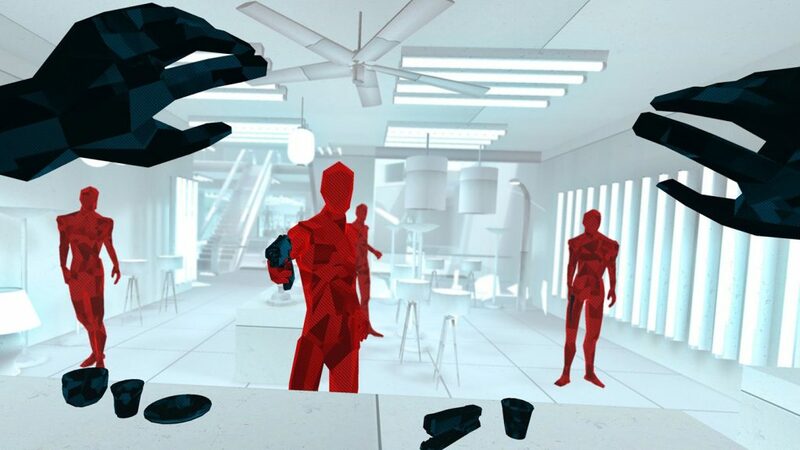 Despite all other games I play being fine with my quite empty and quite sizeable living room Superhot VR on PSVR deems it too small at the most random of occasions, whether day or night my hands in-game will drift away from me, normally this would be an inconvenience in most games but as this glitch causes time to move and you to not have a weapon to defend yourself any more it is down right infuriating. This feels like something that should be fixable in a patch (coming from a non-developer) but the sheer number of times it happened to me makes me think this can’t be an issue just effecting me.